This is a cool project I saw using mod podge and clothespins and I thought I would try it out. 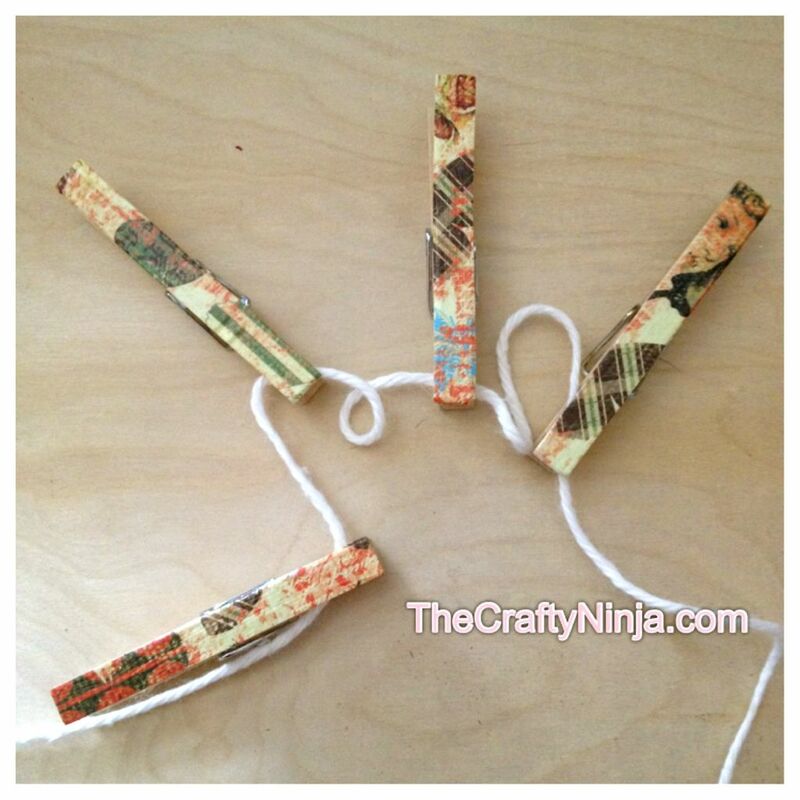 Here is my DIY tutorial on how to make Mod Podge Clothespins. Supplies: Wooden Clothespins, Mod Podge, Scrapbook paper, Pencil, and Scissors. First trace the wooden clothespin on the back of the scrapbook paper and cut out. 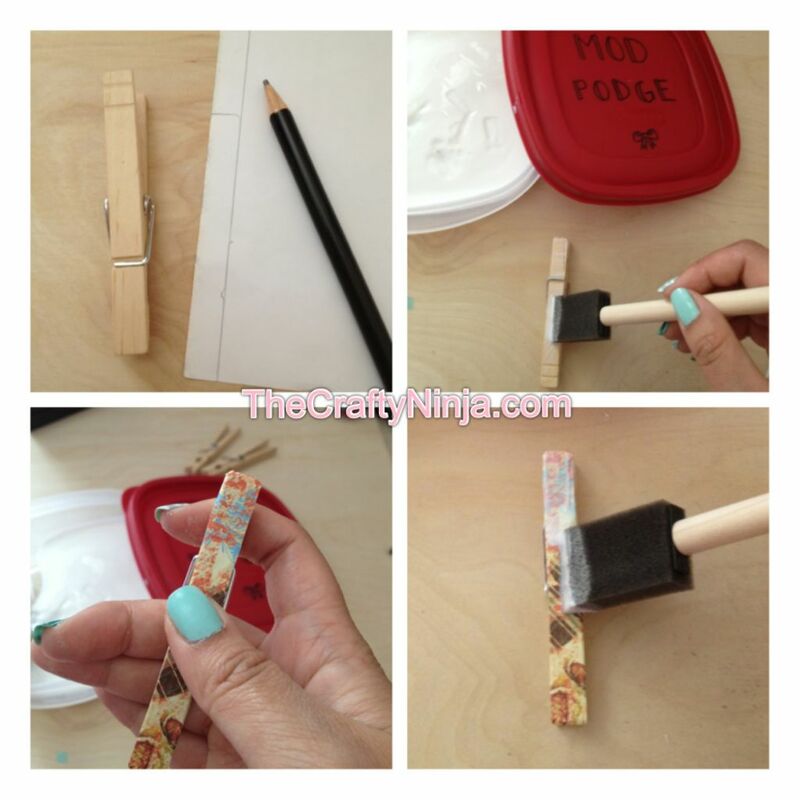 Add Mod Podge to the wooden clothespin and glue the scrapbook paper. Be sure to rub to get any air pockets out and stick them together. Last apply Mod Podge over the scrapbook paper to seal and let dry. Simple, easy, quick and you’re done!